South Carolina Coastal Resources is a blog of the S.C. Department of Natural Resources (SCDNR) Marine Resources Division, whose mission is to serve as the advocate for and steward of the state's marine resources. Studying everything from algae to tiger sharks, our staff of biologists, fisheries managers, and educators work to protect and conserve South Carolina's coastal waters and wildlife for future generations. Learn more at DNR.SC.GOV. We're headquartered at the Marine Resources Center on James Island, overlooking Charleston Harbor. Contact us at CoastalResourcesBlog@dnr.sc.gov. 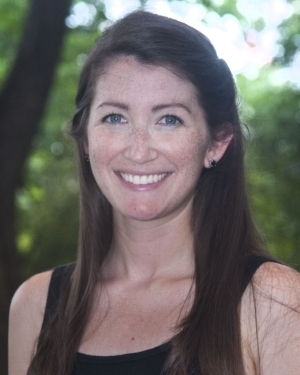 This blog is managed by science writer Erin Weeks, who is based in Charleston, SC and covers all things marine for SCDNR. Before returning to her hometown in 2014, Erin wrote about science for research institutes and news outlets in Washington, D.C., Boston, and Durham. She holds an undergraduate degree from the University of South Carolina and an M.S. from the Massachusetts Institute of Technology. Find her on Twitter @erin_m_weeks. for and steward of South Carolina's natural resources. Keep up with SCDNR's coastal and marine work by subscribing to weekly blog updates.